Dorothy L. Starnes is a Partner in the Tax Section and Head of the Employee Benefits Section of King & Ballow in Nashville, Tennessee. Her practice areas include Pension Law, the Employee Retirement Income Security Act (ERISA), Employee Benefits, Business Law and Tax Law. 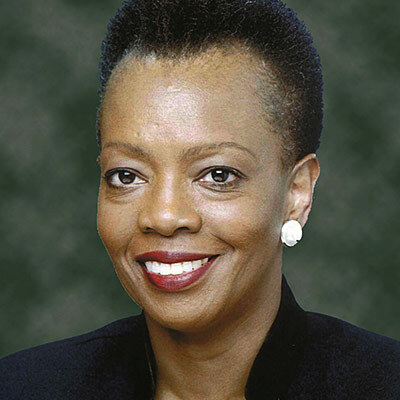 Dorothy received her undergraduate degree from Kansas State University and her law degree from Memphis State University (currently known as the University of Memphis) Cecil C. Humphreys School of Law, where she was a member of the Law Review as well as Articles Editor. She authored Fixtures: Tennessee’s New Law on Resolutions of Conflicts between Article Nine Security Interests and Owners and Encumbrancers of Realty, 16 Memphis State University Law Review 115. She also authored Evidence - A Missing Link Discovered in the Missing Witness Rule, 15 Memphis State University Law Review 105. Dorothy served as a Law Clerk for the Honorable Robert M. McRae, Jr., who was Chief Judge of the Western District of Tennessee. Dorothy advises clients on all aspects of employee benefits and pension matters covered by ERISA, the Internal Revenue Code, and the Health Insurance Portability and Accountability Act (HIPAA). She assists clients with compliance and fiduciary responsibility issues. Dorothy counsels employers regarding the design, implementation, operation, and termination of all types of employee benefit arrangements, including tax-qualified retirement plans, such as defined benefit pension plans, profit sharing plans, 401(k) plans, and employee stock ownership plans, as well as non-qualified deferred compensation plans, including top-hat benefit plans, supplemental executive retirement plans (SERPs), incentive stock option plans, bonus plans, phantom stock plans, retention compensation plans, pension excess benefit plans, and various other non-qualified deferred compensation plans covered by Internal Revenue Code Sections 409A, 457(b), and 457(f). She represents clients before the Internal Revenue Service and the U.S. Department of Labor in their voluntary compliance programs through which employers are permitted to correct operational and documentation defects in retirement plans. Dorothy also works with clients on a variety of other employee benefit matters, including severance benefit plans, voluntary and involuntary separation programs, early retirement incentive plans, cafeteria plans, group health and welfare plans, medical reimbursement plans, medical and dependent care flexible spending account plans, retiree health care benefit plans, COBRA continuation coverage requirements, and educational assistance plans. Dorothy represents employers on matters pertaining to Taft-Hartley collectively bargained multi-employer pension plans, including reviewing and analyzing withdrawal liability assessments and representing employers by filing challenges and demanding arbitration regarding assessments. Dorothy represents clients with asset purchase transactions and mergers and acquisitions by performing due diligence, negotiating/drafting the documents to consummate the transactions/acquisitions, and advising on pre-closing and post-closing requirements. Dorothy has been awarded the Martindale-Hubbell peer review rating of "AV Preeminent," which is the highest level of professional excellence. Admitted to practice: U.S. District Court, Western District of Tennessee.